Non-Surgical Lunchtime Liquid Face-Lift Restore your facial volume, look younger, and look refreshed–all in less than an hour WITHOUT invasive surgery. For limited time only you can look as young as you feel for only $1,398. (Was $2,097). This technique incorporates the revolutionary SoftFil cannulas instead of traditional needles to significantly reduce discomfort and bruising. To set up an appointment or for any further information please contact Beauty MDs at (409)-883-5600 ext. 3. Botox and soft tissue fillers of Restylane, Juvaderm, and Radiessse are office lunch time procedures that require virtually no recovery time. Botox is a neuromodulator used to soft facial lines. It lessens the pull of the muscles which stress frown lines (between the eyes ) and smile lines (around the eyes). It also can be used to shape and raise the eyebrows, giving a Botox browlift. Botox usually lasts anywhere from 4 to 6 months. It can be done during the lunch hour or most any afternoons in the office. BeautyMDs, LLC routinely uses soft tissue fillers of Restylane, Juvaderm, and Radiesse. Depending on where the specific lines and wrinkles are, the correct filler is chosen. These fillers are especially helpful in lip lines, lines at corners of mouth, and the nasolabial lines between the cheek and upper lip. Fillers cans last from 6 months to over 12 months depending on location and type of filler used. You can return to work the same day or next day after soft tissue fillers. Resytlane and Juvaderm has the active ingredient of Hyaluronate, which is the major building block of collagen. You and most animal living things already have this substance in your body making up collagen. Radiesse is a thicker filler containing hydroxylapatite. It is used for deeper lines and wrinkles. Radiesse has FDA approval for demonstrating that it can increase collagen growth. 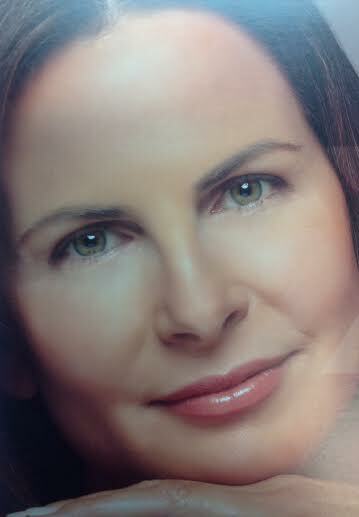 Botox, Restylane, Juvaderm, and Radiesse are designed to soft facial lines/wrinkles. Restoring depleted facial volume is an excellent way to rejuvenate the face by restoring a more youthful facial proportion and shape. The goal is to give you a softer and refreshed look without downtime of a surgical procedure. We use the revolutionary French SoftFil Cannula technique to reduce discomfort and bruising. See video at SoftFil usa for this game changing soft flexible blunt micro cannula technique instead of traditional needle injections! An eyelid surgery is a procedure to remove the sagging upper and/or lower eyelids. Many patients are unhappy with bagginess along the upper eyelid and puffiness below the lower eyelid. Aging changes the upper eyelid by drooping down the upper eyelid below the eye lens margin. You may lose the normal crease just above the eyelid leading to the baggy, tired look. This procedure may be performed in conjunction with a brow lift if the eyebrow has descended enough to contribute to the problem. The lower eyelid surgery emphasizes removal of the excess fatty tissue and skin. The external incisions are usually hidden just below the eye lashes if only excess skin needs to be removed. Others who need excess fat removed will have an incision hidden on the inside of the eyelids. Face lift, or rhytidectomy, is one of the most commonly performed facial plastic surgery procedures. It is a surgery that can dramatically reverse the signs of aging, which can result in remarkable improvement in your overall facial appearance. It is designed to tighten and reposition sagging skin. The incisions are made along the hairline and the border of the ear and hidden in the natural creases in the front of the ear. Excess skin will be meticulously removed. 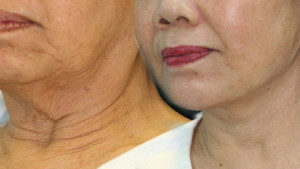 The face and neck are then recontoured to provide a more youthful appearance. Thread Lift is the minimally invasive approach to the sagging skin as seen with eyebrows, brows, cheeks, or drooping mid and lower face. With aging, our skin loses the collagen and elasticity resulting in sagging, deep creases, folds and wrinkles. Thread Lift provides an ideal, scar-free solution to gently lift the patient’s own tissue without the incisions and trauma of the traditional face, brow, or neck lift surgery. Contour Threads are the first non-absorbable barbed sutures cleared by the FDA. The tiny barbs on each thread opens in an umbrella-like fashion to form a support structure that gently lifts sagging tissues. Once in position, your body generates new collagen bundles that encapsulates each thread to help maintain the elevation or lifting effect. Fat injections have been utilized to create fuller lips, to level out depressed scars, and to fill out any creases. This procedure is often used in filling the nasolabial folds which helps reverse the signs of aging and provides a more youthful and refreshed look. Fat can also be used in place of implants in areas such as cheeks and buttocks to provide fullness or correct contour irregularities. Multiple treatments are expected in order to achieve the more desirable and permanent results. A well-defined chin helps to give a balance to the face and improves one’s profile. This can also be a surprising impact on the appearance of the nose. It is common for the facial plastic surgeon to recommend chin augmentation when it is necessary to achieve facial balance and harmony. A pleasing, balanced profile can be achieved by inserting an implant to build up a receding chin. This procedure is often performed with liposuction to remove the excess fatty tissue and to redefine the chin and the neckline. Together, the surgery can improve the form and function of the lower face and greatly enhance one’s appearance. Some people are unhappy with the noses that they were given while others may have injured and distorted their noses at one point or another. Nothing has greater impact on how a person looks than the size and shape of the nose. Rhinoplasty not only improves your looks but also your self-confidence. The surgeon will examine the structure of your nose, both externally and internally, to evaluate what you can expect from rhinoplasty. Reshaping of the nose requires a good understanding between the surgeon and the patient to achieve realistic expectations and pleasing results. Laser skin resurfacing can improve the appearance of age spots, sun damage, skin toneand texture, wrinkles, surgical scars, acne scars, and stretch marks. Palomar laser technology has shown to break down facial lines and creases and help generate new skin that’s healthier and smoonther. It is a alternative treatment that allows you to recover in a few days while reducing the apprearance of the crow’s feet and smooth the lipstick lines. Although mild changes can be appreciated with one session, all studies have shown better results in a series of at least 4 sessions each four weeks apart. Due to the micro-fractional laser technology, most people experience minimal side effects such as temporary redness and swelling which may last a few days. However, there should not be any down time which would interfere with you returning to work. Visit Palomar Medical Technologies for videos of the procedures and the before and after pictures. Over time, the effects of the sun, wind, and time and hormones begin to appear on our skin with fine lines, age spots, and other sun damages. IPL photorejuvenation was designed to combat the skin damage on the surface in a softer, gentler way. The pulsed light treatments help restore a more youthful apperance by minimizing the redness and flushing as seen with rosacea. They also reduce the pore sizes and help fade the sunspots. The targeted tisues absorbs the light’s energy to stimulate the formation of new collagen beneath the skin. 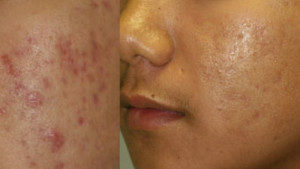 With each session, you will see the subtle changes with smoother skin, more even skin tone, and healthier-looking skin. These improvements will continue to increase with each treatment. Please go to Palomar Medical Technologies for more information.